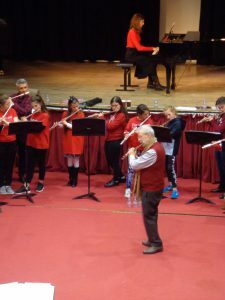 The concert features music from the Beatles, Les Misérables, Coldplay, Pirates of the Caribbean and much more. Bring the Children they are free accompanied by an adult. We are delighted to announce that we are now taking bookings for our highly successful Easter revision courses for Junior and leaving Cert Music. Leaving Cart Music also at 1 Larkfield on Wednesday 17th April Duration 9.30 am to 4.00pm Cost €60. 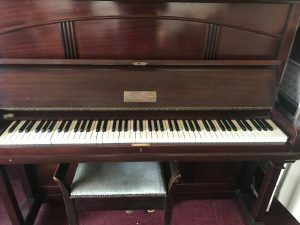 Stromenger Upright overstrung piano for sale €1100. 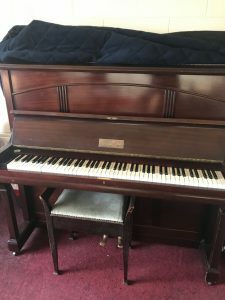 Piano is in very good condition and is tuned twice a year. 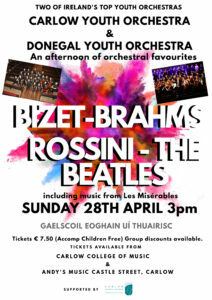 Contact Carlow College of music for more details 059-9140676. 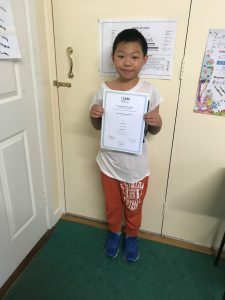 Congratulations To Kris Tai in achieving a remarkable 100% score in his Grade 1 Theory exam with The Royal Irish Academy. Wow! Huge congrats goes to Jim Parmeter for his outstanding achievements this year. 6 cups! 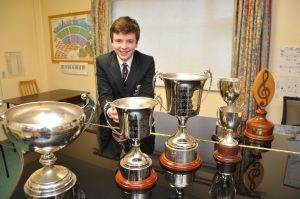 The Dean Harvey Junior Singing Cup (Kilkenny College),The Francis Kearney Trophy and The Credit Union Cup (Kilkenny Music Festival), Mc Cullough Cup for emerging talent, The Ursula Mahon Memorial Cup 14 & under Piano and The O’Gorman Cup 14 & under Cello. Such a pleasure to work with. 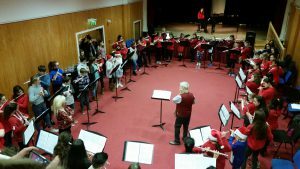 We are currently recruiting new members for our performing groups ‘Sing Aloud’ both Junior and Youth Orchestras and also ‘No Strings Attached’. You don’t have to be attending the college to get involved, all you need is to have completed grade 4 level in music. 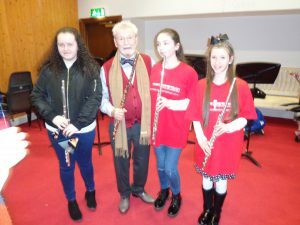 If you are interested in taking up the Oboe Carlow College of Music in association with IAYO and Music Generation Carlow offer subsidised tuition fees and provide you with a oboe. Come and try it out you have nothing to lose. No Strings Attached T Shirts Sponsored by ‘Adaptive Eco Products Ltd’. 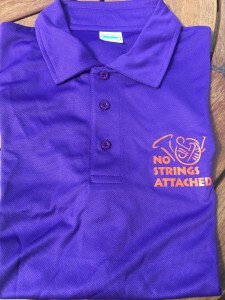 Many thanks to ‘Adaptive Eco Products Ltd’ for sponsoring the fab T shirts for our brass ensemble ‘No Strings Attached’. Much appreciated. 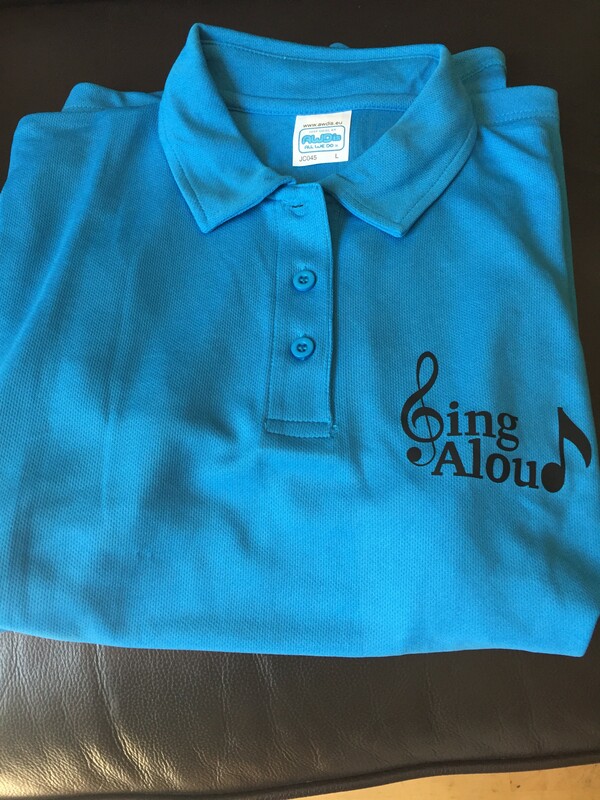 Congratulations to Jim Parmeter for designing the logo for “Sing Aloud”. 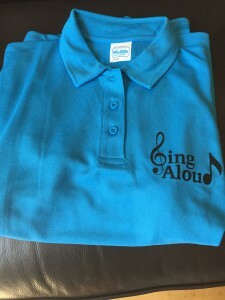 We have lovely new blue polo shirts with the logo. 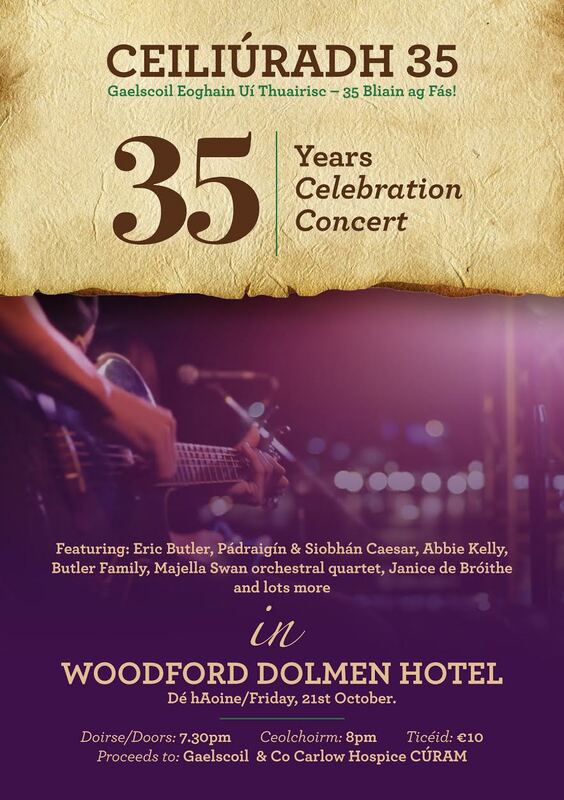 Gaelscoil Cheatharlach is 35 yrs old this year and a celebration concert place on Friday 21st October in the Woodford Dolmen Hotel . 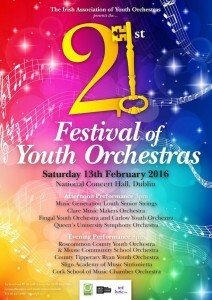 The concert featured past students of the Gaelscoil and students of the Carlow Youth Orchestra. 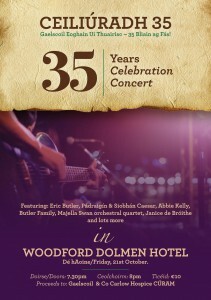 Special guests are Eric Butler and Pádraigín Caesar. Tickets €10. 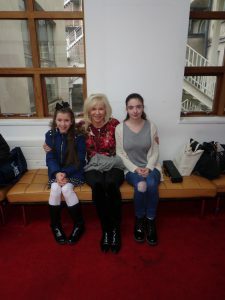 Proceeds from the event will be shared with Carlow’s Hospice CÚRAM which has just commenced construction and the Gaelscoil. 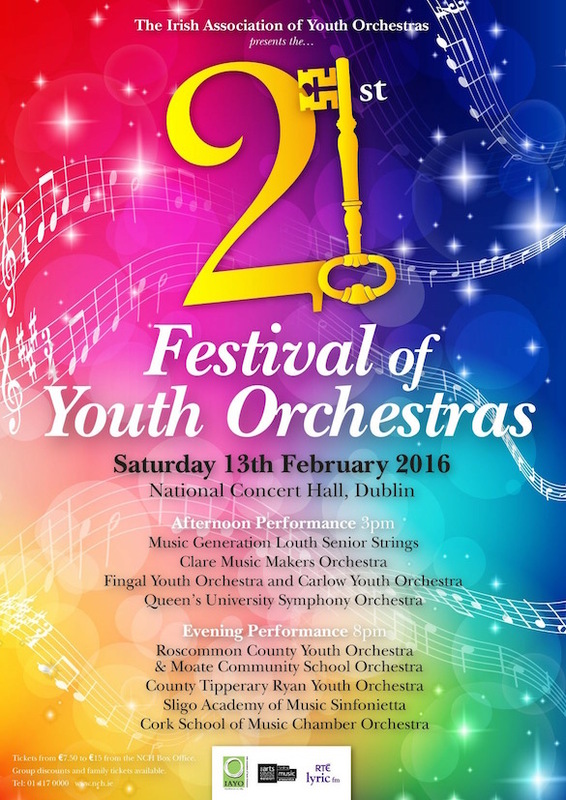 The IAYO 21st Festival of Youth Orchestras took place in The National Concert Hall on Saturday 13th of February. 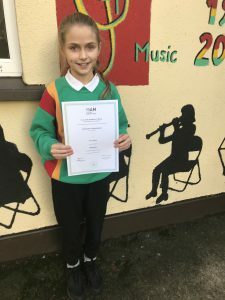 The festival showcased the talents of 10 youth orchestras, Carlow Youth Orchestra was presented with an achievement award from the Irish Association of Youth Orchestras (IAYO) This is the 3rd time that the orchestra has received such a prestigious award. 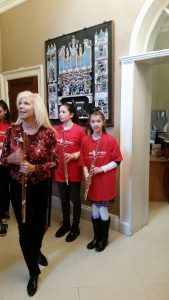 The orchestra received this award for artistic projects which benefit the Orchestra and the entire community. 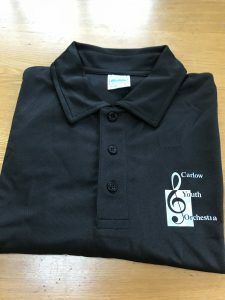 Carlow Youth Orchestra had a significant part in the 25th Anniversary celebrations of the Carlow College of Music with a workshop and performance with Mícheál Ó’Súilleabháin, a specially commissioned work written for the anniversary by Bill Mc Grath and a new oboe project in association with IAYO, Carlow College of Music and Music Generation Carlow. Our very successful revision courses are back. If you want to improve your music grade look no further than Carlow College of Music. Students attending these revision courses have gained top marks in the State examinations. Entire course covered with extra tips in all areas. Book Before end of January to receive €5 discount. Book Early. Limited places available. Contact us on 059-9140676. 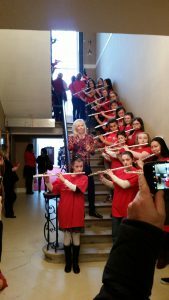 We have limited places for our Music Maker class On Saturday @ 10.45-11.30 am in Presentation College Askea. A great introduction to music for 4-6 year olds.